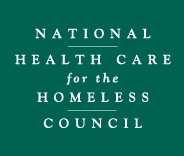 The National Health Care for the Homeless Council is a 501(c)(3) non-profit membership organization that leads a network of more than 10,000 doctors, nurses, social workers, patients, and advocates who share the mission to eliminate homelessness. The Council was founded on the principles that homelessness is unacceptable; every person has the right to adequate food, housing, clothing, and health care; all people have the right to participate in the decisions affecting their lives. Since 1986, we have been the leading organization to call for comprehensive health care and secure housing for all. We produce leading research in the field and provide the highest level of training and resources related to care for persons experiencing homelessness. One-on-one Technical Assistance: ta@nhchc.org; We connect requestors with Subject Matter Experts, site visits and reverse site visits between grantees.